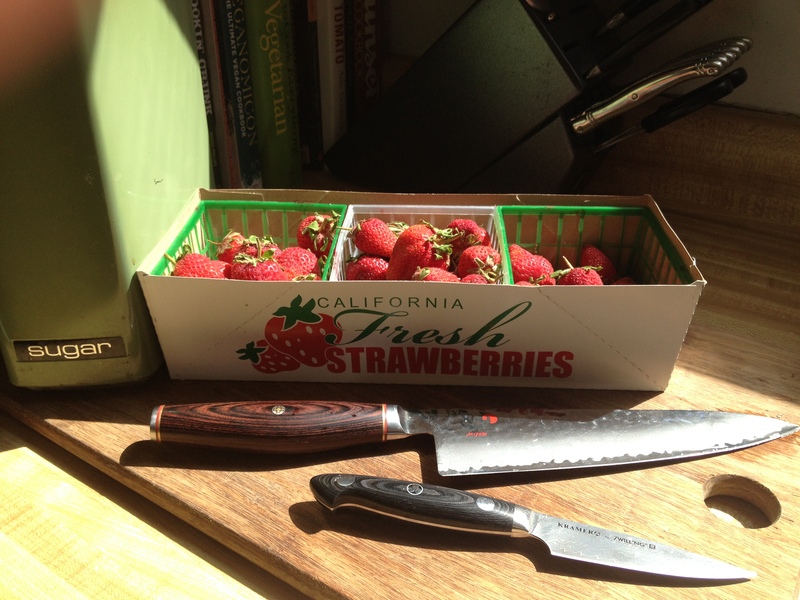 When it comes to spring and the beginning of summer there is nothing like strawberries. The farmers market is sparse with them at first only coming from Santa Cruz. As it warms up the markets fill up with people and the strawberries multiply. Prices drop as competition rises, and I make jam. My first batch of jam this year turned out OK, but as I continue my apprenticeship under the most incredible pastry chef I am learning techniques and this is one of them. 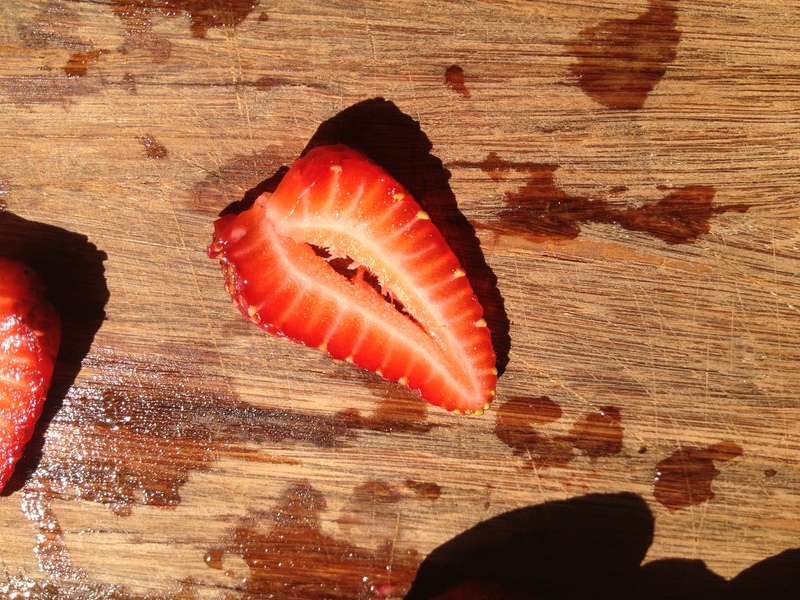 Strawberries have barely any pectin as compared with citrus so you have to get creative. I pan fry these in essentially a single layer and sprinkle a handful of sugar on them, tasting until you get your desired sweetness. Let’s be honest, there are loads of recipes out there that say they use an 1/8th of the sugar that the balls jars recipes use, and while balls jars recipes do use more sugar than I do, those peoples recipes taste awful. Jam is supposed to be sweet, and yes, that involves some sugar! 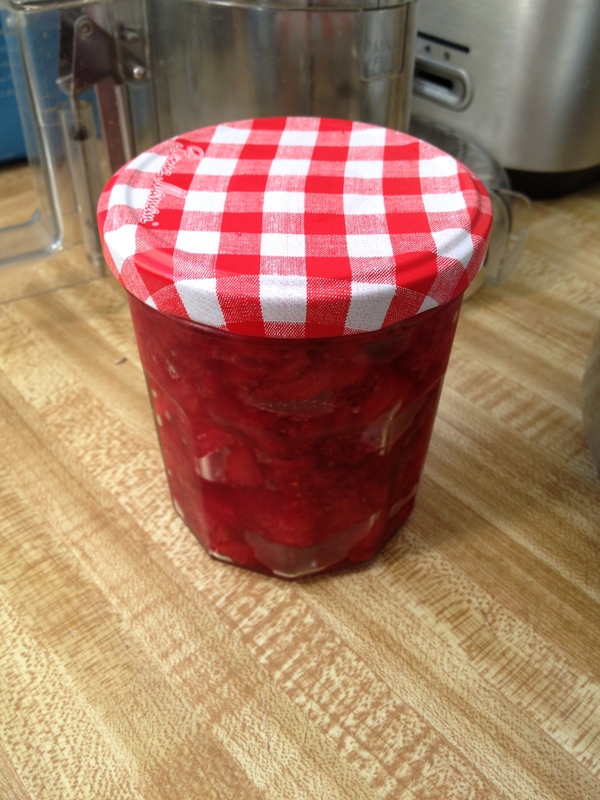 I like my jam a bit chunky and it also allows you to make it without any added pectin! 1. 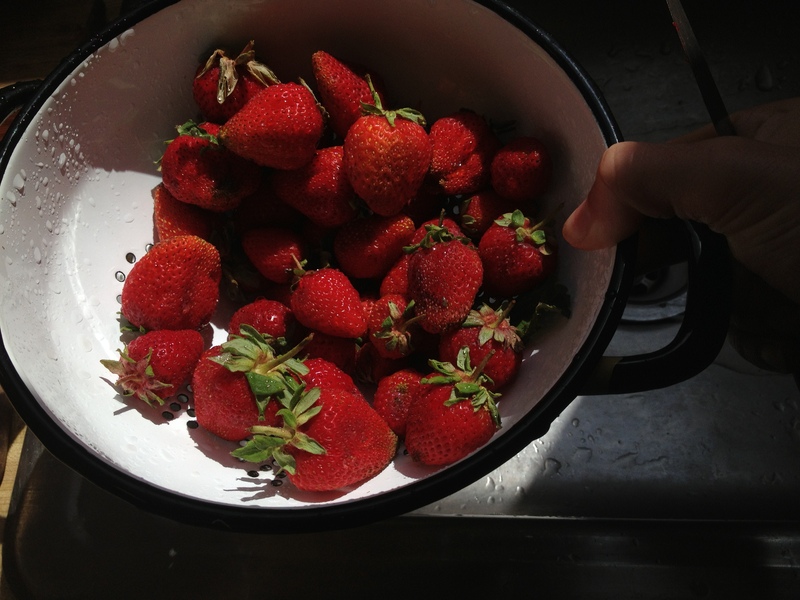 First wash the strawberries in a colander to remove any dirt etc that might be sticking to the strawberries. If like me you left yours in the fridge then pick through and remove any of the spoiled strawberries. 2. 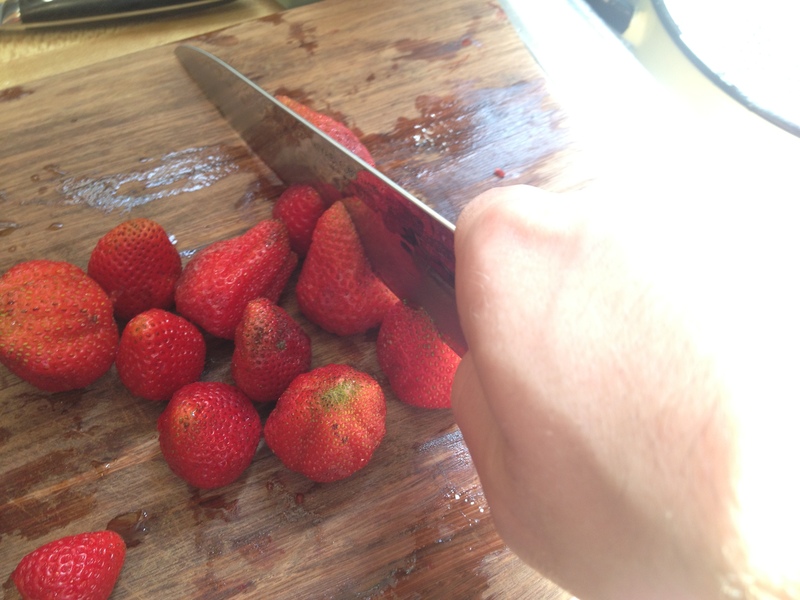 Hull the strawberries using a pairing knife by removing the leaves and as little of the strawberry itself. 3. 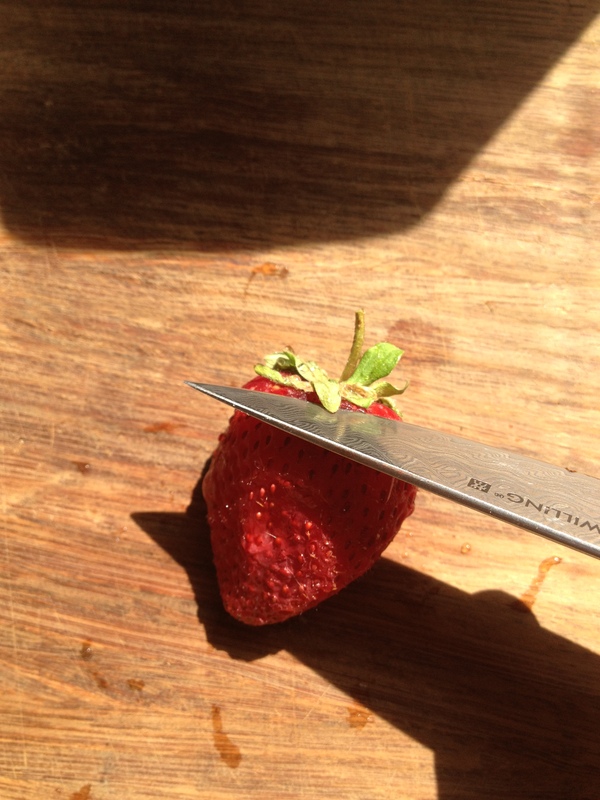 Line up the hulled strawberries into rows of three, and using a chefs knife cut each strawberry into 3rd or 4ths depending on their size. 4. 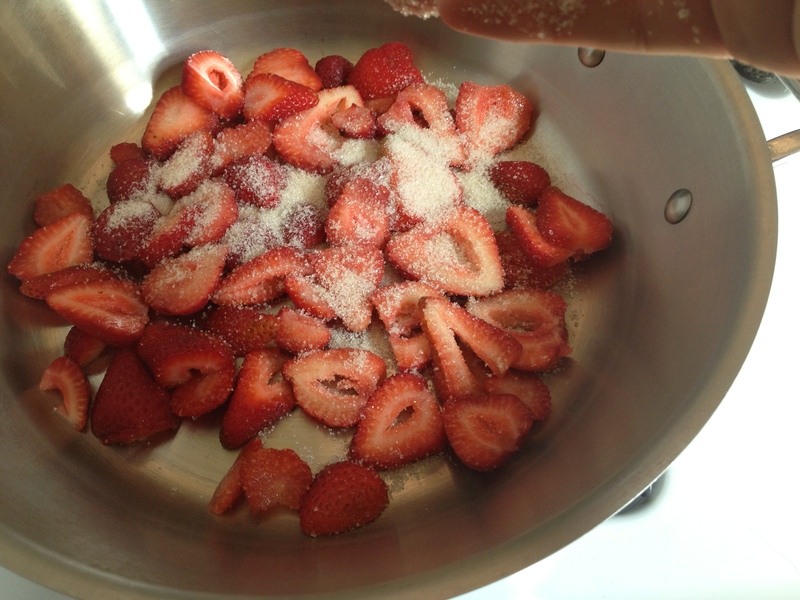 In a healthy “single” layer place the strawberries in the pan and sprinkle sugar on them over medium heat. 5. Pan fry the strawberries adding sugar if you need to sweeten it any further cook stirring to make sure the bottom doesn’t begin to burn. 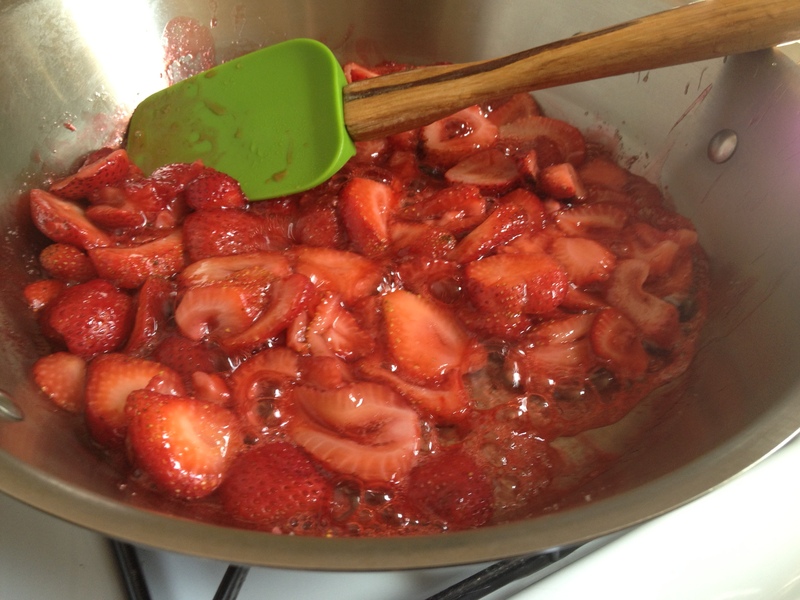 Cook until the liquid starts to gels and becomes thick and the strawberries are soft. 6. 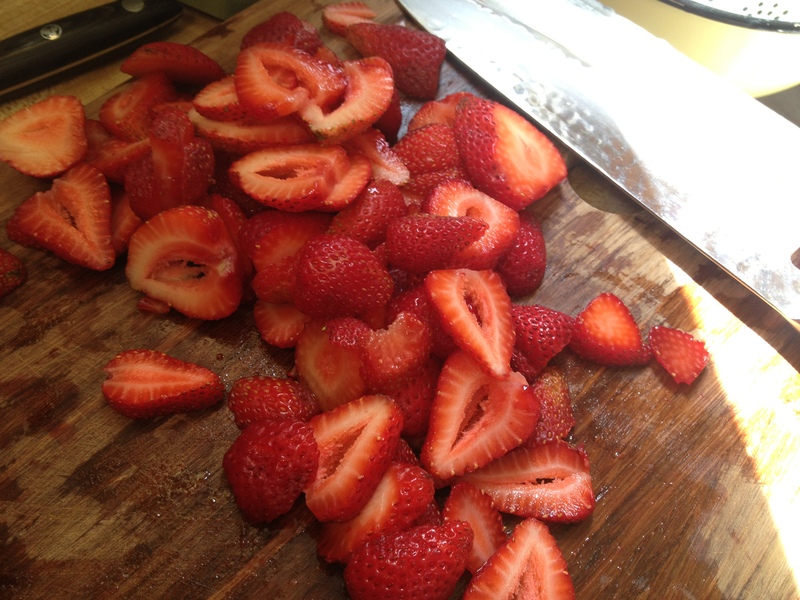 If you have anymore strawberries continue to pan fry in single layers until all of them have gelled! Place in a cute jar you have just for strawberry jam and enjoy daily. Thanks Ally! I learned this technique from a chef I worked under. She never used pectin, and I liked the naturalness of it!